With its total weight of eleven tons, the prototype of the Jaguar 860 boasts a power of magnificent 516 hp. With an ideal straight crop flow, from the feed rollers to the accelerator in the discharge tower, the Jaguar 860 is an absolute winner in harvest operations. The Harsewinkel-based agricultural machinery manufacturer has remained faithful to its concept with this latest generation of the Jaguar: the engine is installed at a right angle to the driving direction. Wiking miniaturized the visibly spacious and comfortably equipped Vista Cab with the finest of intricate details. The cab doors open in the same radius as in the prototype. The Jaguar 860 ensures excellent all-round visibility ? that?s confirmed by the fully transparent model cab. 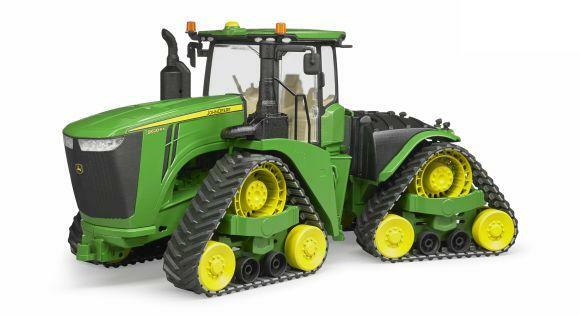 The axles are suspended, the side flaps as well as the servicing flaps can be opened and allow a peek into the machine. The spout can be swiveled true to radius and can even be adjusted in its height. Intricacy of detail is also showcased in the hydraulic connections, which are attachable and detachable, just like in the prototype. And, of course, the Jaguar 860 is ready to meet complex harvesting tasks with two attached devices. As in the prototype, the row-independent Orbis corn header combines hands-on experience with innovative ideas in terms of structure and drive in the 1:32 scale. The linkage to the Jaguar prototype can be easily done with the quick coupler. Optimal crop flow and, with it, a consistent chopping quality are guaranteed due to the longitudinal feed of the plants. Depending on the usage simulation and as desired, the Orbis 750 corn header can be installed and removed also in its 32-fold miniaturization. True to its prototype, the road-field operation can be simulated if the corn header is folded in and folded out, so that the so-called sandwich folding can be understood in the model. The various feed rollers make the central function of the corn header visible because they have been arranged on a rotatable basis by WIKING. In addition, the associated pipe brackets are foldable. 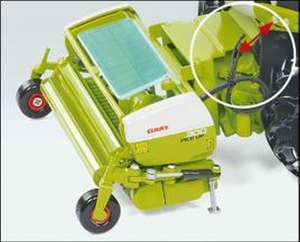 The second attached device is for the fodder crop. The Pick Up 300 demonstrates what is essential in the prototype. 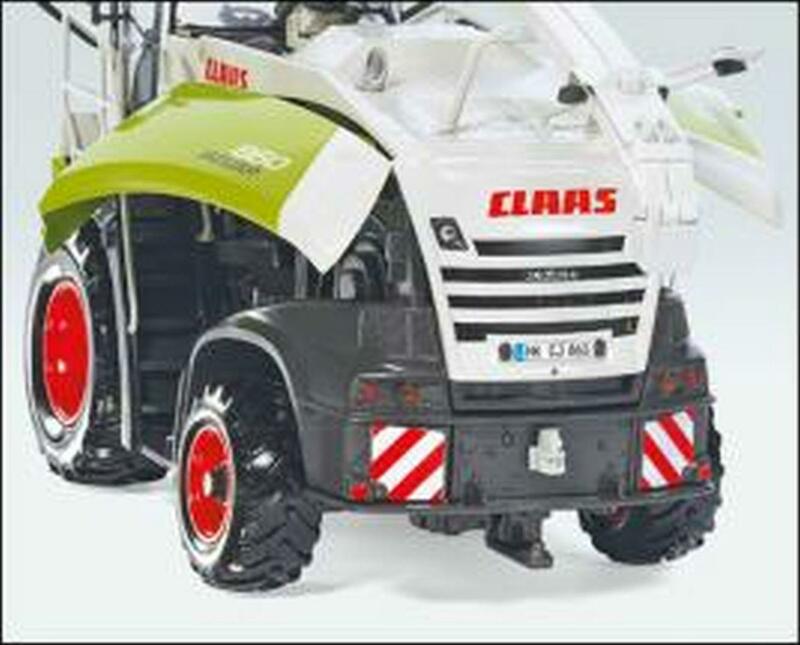 On the way to ever more powerful forage harvesters and high yields, requirements such as clean feed intake, robust technology and simple operation are becoming increasingly important. The Pick Up 300, with a working width of three meters, meets the essential requirements for efficiency. The Pick Up PU 300 by WIKING can be installed and removed, as needed. The dirt cloth is arranged to move, while the roller retainer is rotatable and can be adjusted in height. Of course, the Pick Up can be opened just like with the prototype. Just as true to reality, the two contact wheels can be folded.